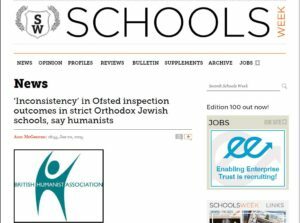 A year and a half ago the British Humanist Association published an exposé revealing that since 2007 two Ofsted inspectors from the strictly Orthodox Charedi Jewish community had consistently given favourable reports to the Charedi schools they were inspecting, leading to doubts over their impartiality and independence. The two inspectors were subsequently dropped by Ofsted. Since then, more or less all of the schools involved have been re-inspected by Ofsted, and the reports from those inspections reveal both the enormity of the scandal and the scale of the impact that it is likely to have had on the pupils whose education went without the oversight it so badly needed. 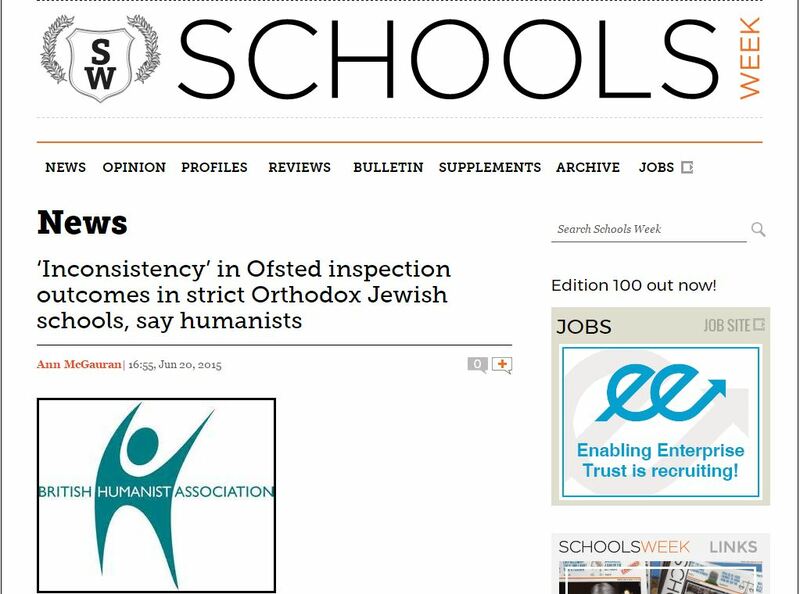 In 2009, one of the two inspectors, Chanan Tomlin, rated Gateshead Jewish Boarding School as ‘good’ in almost all areas – apart from in pupils’ spiritual, moral, social and cultural development, for which he graded the school ‘outstanding’. In July 2016, however, when the school was re-inspected, inspectors found that ‘leaders and managers do not ensure that pupils are effectively prepared for life in British society’, that there was not sufficient ‘time during the school day to learn secular subjects’, and that pupils proficiency in English was under-developed. The school was deemed ‘inadequate’. In 2011, Talmud Torah Toldos Yakov Yosef was inspected by Chanan Tomlin too. It was awarded the same (and seemingly trademark) ‘good’ rating. The school has had four inspections since then, each of which has found that the school is failing to meet a variety of independent school standards. In 2012 Wiznitz Cheder School in Hackney was inspected by Jonathan Yodaiken who rated it as ‘good’ in most areas, ‘outstanding’ in some. In 2016, inspectors identified ‘unmet independent school standards’. Safeguarding was inadequate, health and safety was inadequate, and the school leaders were found to be failing to fulfil all their responsibilities effectively. 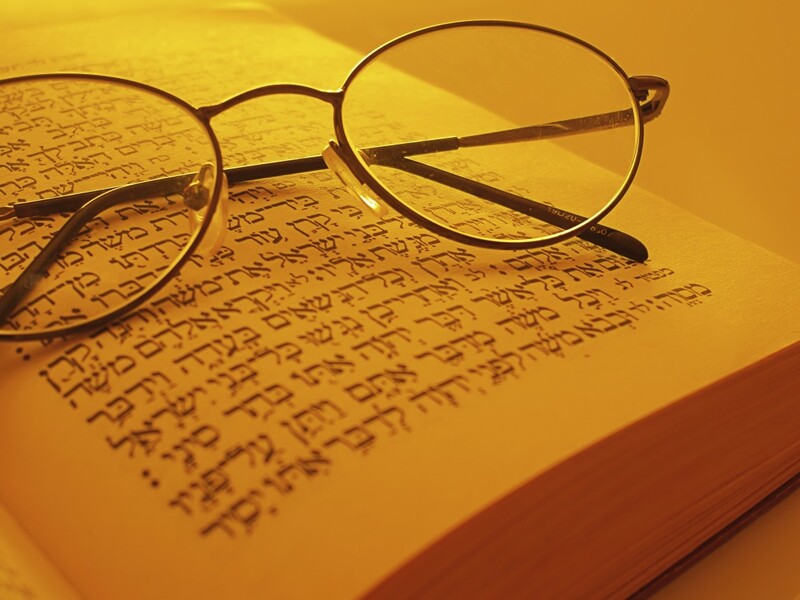 In 2013 Chanan Tomlin rated Talmud Torah D’Chasidei Gur ‘outstanding’ overall. The ‘teaching is outstanding’, the ‘curriculum is outstanding’, the ‘leadership and management are outstanding’, he noted. However, at its next inspection in late 2015, the school was rated ‘inadequate’ across the board. ‘Outcomes for pupils are inadequate’, ‘the arrangements for safeguarding are ineffective’, and ‘the curriculum does not provide pupils with a sufficient breadth or depth of learning’, the report noted. In June 2016, after a follow-up inspection, the independent school standards were still not met. In 2014, Jonathan Yodaiken inspected Talmud Torah Machzikei Hadass School in Clapton Common, London. He gave the school a ‘good’ rating, though it only narrowly missed out on an ‘outstanding’. Eight months later, in July 2015, the school received an emergency, no-notice inspection. The report stated that ‘the school does not promote pupils’ safety and well-being well enough’, that school leaders asserted that ‘English tuition beyond Key Stage 3 is provided at home’, and that ‘the school’s ethos identifies its founding principle as “unconditional adherence to the Shulchan Aruch (code of Jewish law)”. Leaders are aware that this disregards the protected characteristic of sexual orientation within the 2010 Equality Act.’ The school has had two further inspections since then, the most recent just two months ago. It is still failing to meet all the necessary independent school standards. 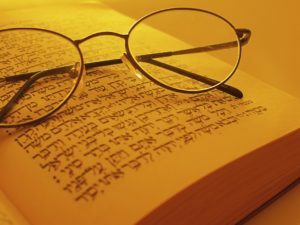 Finally – you’ve probably got the message by now – Talmud Torah Yetev Lev in Salford was inspected by Jonathan Yodaiken in July 2013 and given ‘good’ ratings across the board. Unlike the schools above, however, it hasn’t been re-inspected since the BHA exposé. And this isn’t just despite all we know about the other schools. It’s also despite the fact that its sister school in Hackney, which shares the same name and the same proprietor, has been judged ‘inadequate’ and failed to meet the independent school standards on each of the last four occasions it has been inspected. Surely that’s cause for concern. Unfortunately, Yetev Lev isn’t the only school that’s been neglected in this way. Tashbar of Manchester was rated good by Chanan Tomlin in 2012, but hasn’t been re-inspected since either. And there may well be others we don’t know about. The relatively small amount of media attention that this story received when it broke 18 months ago – covered only in the education paper Schools Week – should not disguise the fact that this is one of the biggest scandals in Ofsted’s recent history. Ofsted is criticised constantly, of course, and a lot of that criticism fails to acknowledge how difficult a job it does. But if its inspectors are not independent from the schools they are inspecting, children are placed at significant risk. Its reaction to the BHA’s exposé has been largely positive, and they must be commended for that. But as our follow-up research demonstrates, they’ve still got work to do.